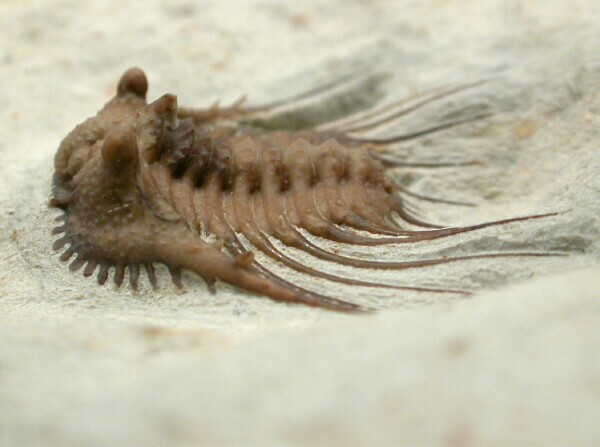 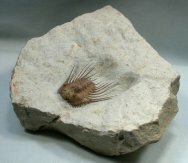 Description: Well-preserved example of a member of the Order Lichida, Family Odontopleuridae, with dramatically-displayed genal spines with minute subspines, a feature not often preserved intact. 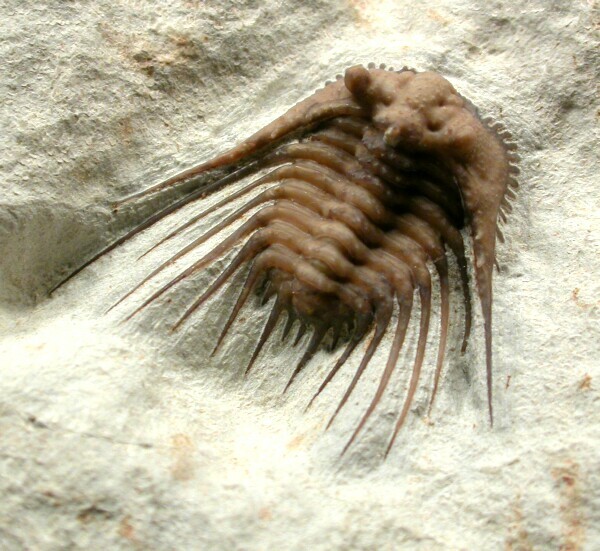 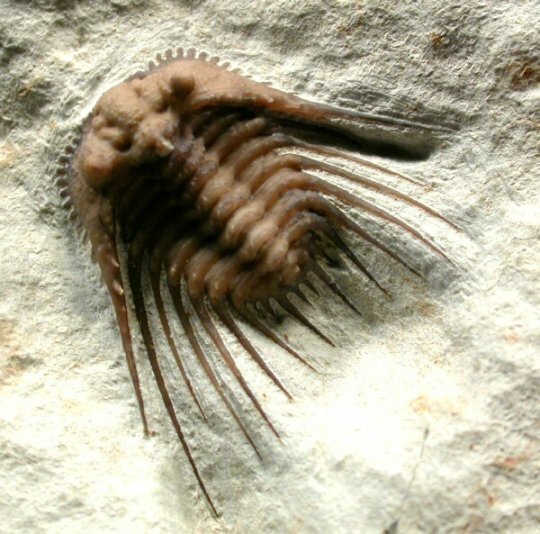 One of the reasons for the fine preservation is the fact that this trilobite was prepared by Bob Carroll, a world-reknowed preparator of Oklahoma Devonian trilobites. 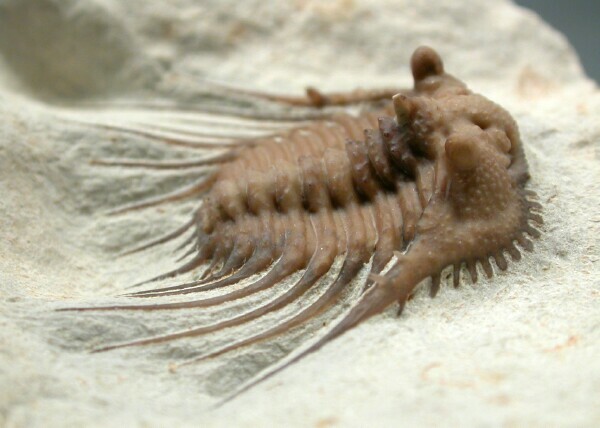 Even the tiny nodes of spines on the pleural lobes can be seen.